Soft silicon material provides snug fit. Protects USB ports from dirt, dust and other contaminants. Easy removal. 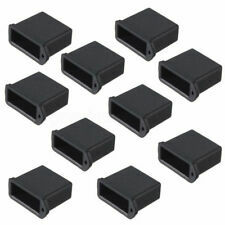 20pcs USB Port Covers. For: USB female end. Material: Soft Plastic. Color: black. Clear plastic USB A Type Plug Anti-Dust Plug Protector cap cover. protect USB connector from dust and oxidation. Suitable for your PC, AV equipment, mobile phones, etc. Made from plastic. Easy put on and remove. Only cover, devices are not included. 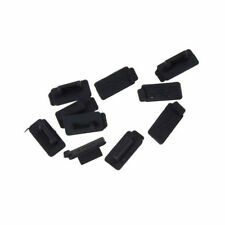 material; plastic total size; 15 x 13 x 6mm / 0.6 "x 0.5" x 0.